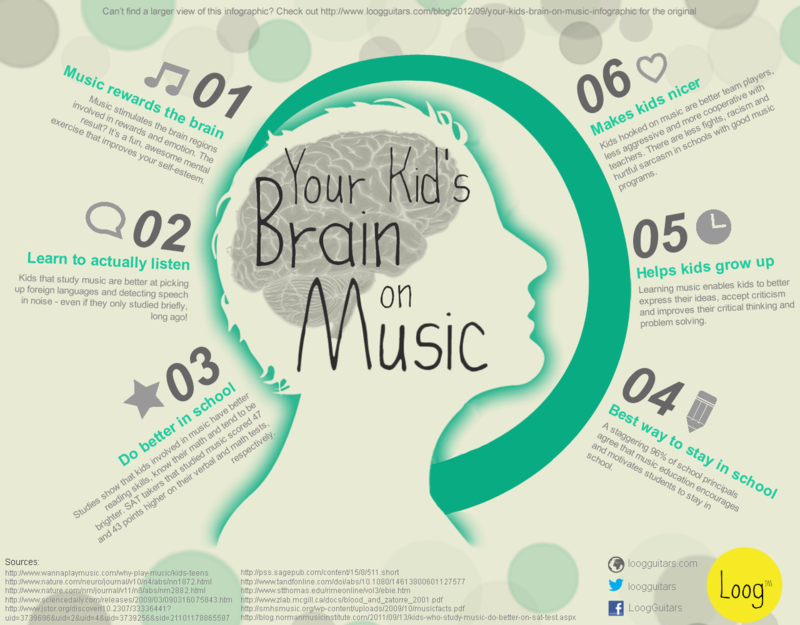 We’re always sharing on Twitter and Facebook studies that show how great music is for kids, especially when they’re learning how to play an instrument. These tweets and posts are sometimes lost in newsfeeds and timelines, but what they say still remains true, sometimes even long after your kid has lost interest in the instrument. Some things are pretty logical, such as how fun and motivating music can be. But others are pretty awesome. Did you know that people who learned an instrument when they were young are actually better at picking up foreign languages – for the rest of their lives? Another study showed that high school students involved in music actually do better on their SATs. Improvements can be seen in all portions of the tests, but guess which one gets the highest boost in scores? No, not math: the verbal portion. Amazing!